When Swim Plans Go Awry – The 8 Bridges Hudson River Swim. Will I or Won’t I? This entry was posted on June 16, 2013, in Open Water and tagged 8 Bridges Hudson River Swim, Cold Water swimming, Raynaud's Syndrome and swimming, Swimming with Raynaud's Syndrome. Bookmark the permalink. As many of you know, I have been training for Stage 4 of the 8 Bridges Hudson River Swim. It’s been a dream for the last few years, both this particular swim and the distance of Stage 4, the one I have signed up to do. 15.2 miles will be my longest swim to date. For some reason, the 15-mile mark has long stood as a benchmark in my mind. Of what, I’m not quite sure. 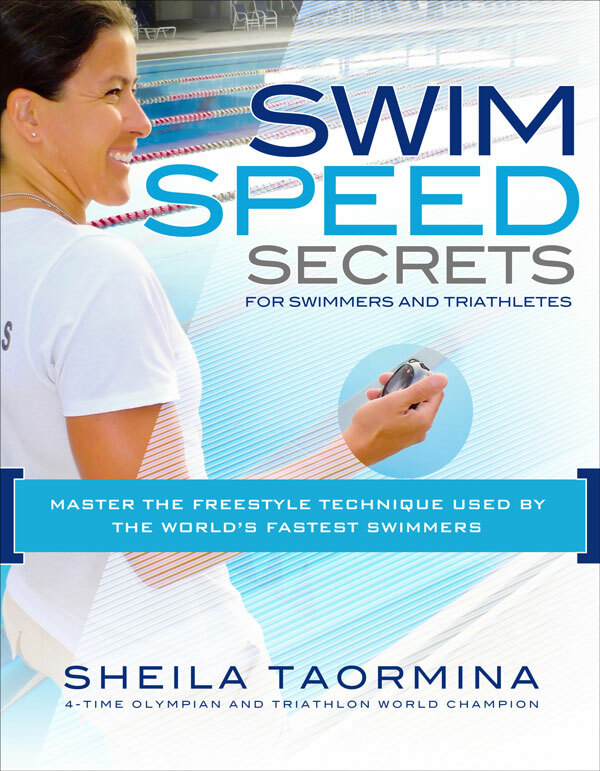 Establishing myself as a “real” swimmer? Perhaps that’s it, but I think it’s something more than that. I’ve had that 15 miles in my head as my personal equivalent of swimming a marathon. It feels important to me. 15 miles. A distance many, or most, people can’t even imagine running. And I can swim it. Here’s the rub: after a Spring of rain and some low temperatures, the water is FREEZING. Yesterday, Stage 1, was a brisk 61 degrees. Today, Stage 2, 62.2. Tomorrow? Who knows, but my stage is the day after that, and unless things warm considerably, or I gain 20 pounds in the next two days, it could be rough going for me. I’ve done some cold swims. 54 degrees in Maine, but with a wetsuit and only for a mile. The low 70s, or right around 70, in both Lake Champlain and Lake Memphremagog in Vermont for 8 and then 10 miles respectively. And I finished them all, never once considering getting out of the water, but significantly uncomfortable. This time, however, another factor comes into play. 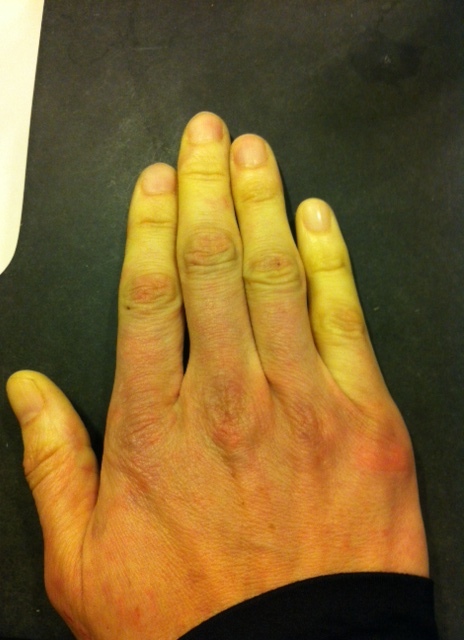 For a 5+ hour swim, the fact that I have severe Raynaud’s Syndrome becomes an issue. 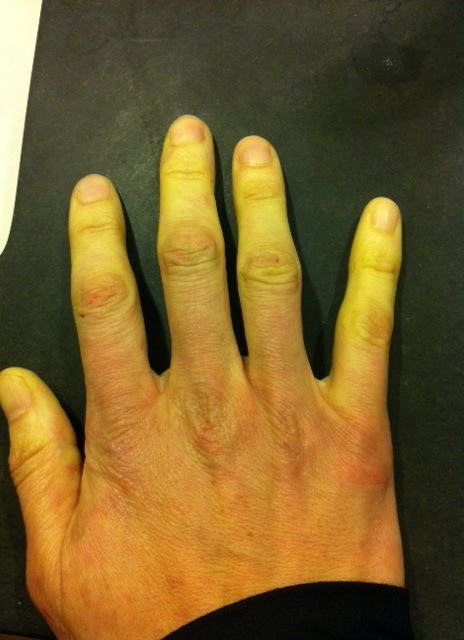 In it’s simplest form, Raynaud’s is an extreme reaction to cold in your extremities. In most of my swims, I have to deal with my Raynaud’s at one point or another, and often, it can get even worse after I get out of the water. Generally, I need to put on gloves and socks right away, and it can be hours before my extremities feel better. My hands become a Raynaud’s claw and for most of my swims, I cannot actually feel my hands, or they feel so stiff and painful, I have to just keep plugging away and ignore them. This can happen even when I am swimming in warm water and just a few months ago, happened after a swim in Mexico. For me, Raynaud’s came come at any time regardless of the season. In fact, just a few days ago, I had to wear gloves to run in June, simply because it was raining. 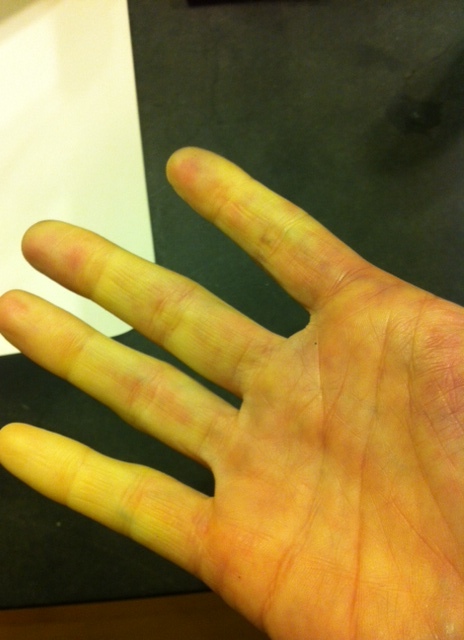 The rawness of the weather meant instant Raynaud’s onset. Extremes in temperature seem to bring it on, as does dampness. Quickly, my hands can start to look something like this. That strange yellow tinge? That’s not the lighting in the room. That’s the color of my hand in full Raynaud’s display. While my digits turn white and yellow, the upper part of my hand frequently turns purple, and then there are red spots across it. The same happens to my feet, and I am unable to bend my toes or put weight on my feet without pain. As they thaw, the entire hand becomes bright red and looks swollen. As the hands thaw, the pain begins in earnest, and often, getting in the shower is the worst part because of the transition from cold to warm. Think pins and needles, but with cold to warm instead of asleep to awake. The knuckles turn purple before returning their natural color, and I have to bundle up like you would not believe. This is where the mental part of distance swimming and the physical collide. I will have some decisions to make. My mind wants to swim, but also wants me to be smart. I think about the money I spent on the stage, almost a week’s worth of swim lessons taught, and think about the hassle for my family should I pull out of the swim early. I think about keeping myself safe, something I talk with my students about regularly. I think about handling my sense of personal failure after training for so long, and so hard. 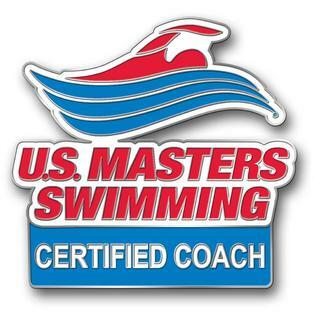 I think about having to go to my own swim practice and tell my teammates that in fact, I couldn’t do it. I think about my husband, who will be my kayaker for the swim but is already quite worried about this and is clear that while he supports me, he thinks the water is too cold for my particular abilities. I think about mind over matter, and wish I could will the Raynaud’s away. I think about other swims I might be able to do this summer, looking endless at swim race websites so I can find one of a similar distance, in a warmer place. But there is nothing to be found. I think about how ready I am for this, damnit. And how much I want to do it. I think about powering through, and wonder if that’s just dumb. I think about what I would tell my son to do if he were in this position. I think about eating. Chugging warm soup while I swim. Keeping moving. Relishing the current pulling me toward the Bear Mountain Bridge, my finish point. I look at the forecast for Tuesday, which has a 40% chance of thunderstorms for the Newburgh area, where I will be starting, and part of me wishes the choice could be made for me so that I wouldn’t have to decide. What will I decide come Tuesday? Still not sure. My heart says one thing, my body may say another, and my mind says a MILLION things. And yes, opinions are welcome! Needless to say, I will keep you posted as decision-making time gets closer and closer–by which I mean I will be doing it. In the meantime, think WARM thoughts! Let’s warm that river up, shall we? « Swimcrest Swimmers hit the Westfield Wave Triathlon!